AMD has issued a second hotfix for the Catalyst 11.5 driver it released in early May. Much like the first hotfix, which packed a number of game-specific performance improvements, Catalyst 11.5b also brings performance optimizations for a handful of games and fixes a number of issues found with the recently released title Brink. 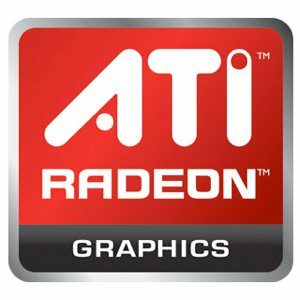 According to the release notes, the hotfix resolves transcoding video lagging issues when converting multiple H.264 clips to MPEG2 Blu-ray video, an intermittent mouse cursor lag issue experienced by some users, as well as some flickering issues when using an AMD Radeon HD 6000 series card with DDR3 memory in DirectX 9 mode with games like Civilisation 5, Dead Rising 2, Fallout 3, Mafia 2, NBA 2010, Starcraft 2, Warcraft 3, and World of Warcraft. If you're playing one of this season's latest games DIRT3, The Witcher 2 or Brink then you probably want to grab this hotfix, especially those running CrossFire configurations as support has been added for the latter two. Further details and download links for Windows XP and Vista / 7 can be found here.